A Dairy-Free Version of the southern classic! 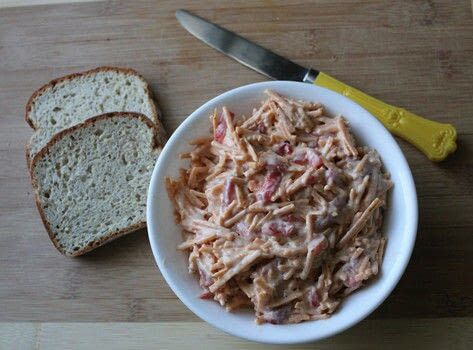 https://www.cutoutandkeep.net/projects/dairy-free-pimento-cheese-spread • Posted by Johnna P.
Combine all ingredients in a bowl. Stir well to combine.